10/11 – 9:30 pm – After a busy day intaking animals, we took in a total of 43 animals and expect many more tomorrow. We helped pull animals from shelters in Sonoma and Santa Rosa and were disheartened seeing the dogs and cats covered in ash with burned paws. So many animals are in need of help and relocation. We received 120 new foster sign-ups just today! Where would we be without this incredibly community. All Hopalong staff are in Sonoma gathering up animals from Sonoma animal shelters. Hopalong has pulled 30 animals from Santa Rosa and Rohnert Park so far today. We’re now just heading to the Sonoma Animal Shelter and expect to pull at least 20 more furred ones. We need volunteers and drivers. If you would like to volunteer, please email Dani@hopalong.org. We’re looking for emergency drivers in Marin County. 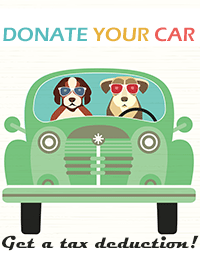 If you can volunteer yourself and your own car to transport, please email Dani@hopalong.org. If you can, please kindly donate here. Monetary donations are very important to us so that we can purchase medical supplies, critical veterinary care and medicine. If you’d like to drop-off supplies to us, we are opening our Marin satellite office in Mill Valley Thursday, 10/11 between the hours of 2:00 and 5:00 pm and we’ll keep those hours every weekday until we are fully staffed. We will also be open from 2-5 Sat and Sun, 10/14-15. The address is 367 Miller Avenue. We don’t have a sign yet, but you’ll find us next to the Kitty Charm School (yep). If you’d like to drop off supplies to our Oakland office, our address is 945 22nd Avenue. Drive into the Embarcadero Cove parking lot and head to the end of the yellow building on your right. We are open from 9-5pm weekdays and Sat., 10/14. If you are interested in fostering a Hopalong animal, please note that we have sufficient foster coverage at this time.”.